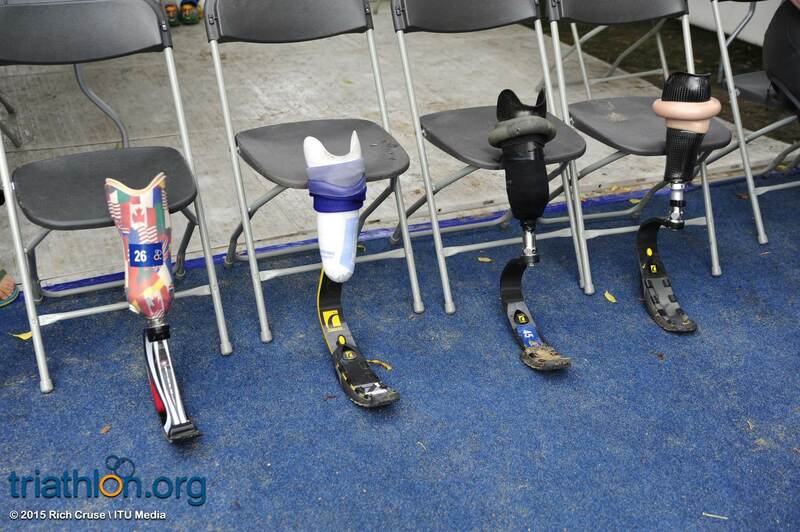 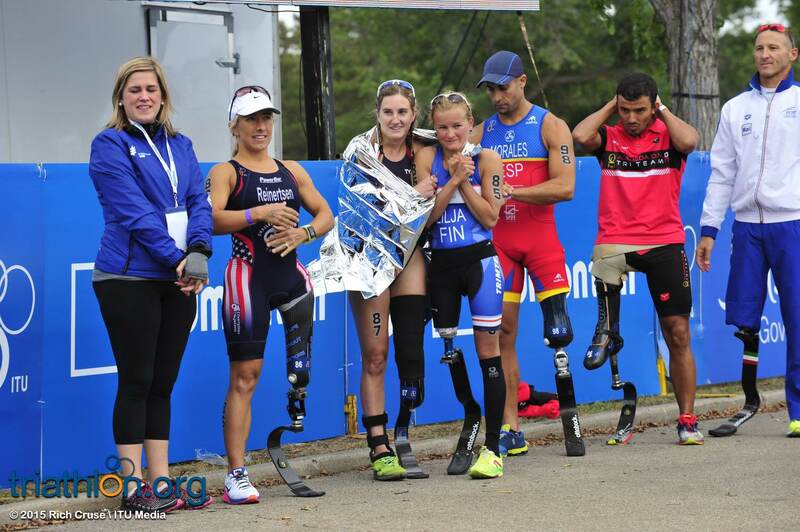 The U.S. enjoyed a successful day with five athletes racing over the finish line first. 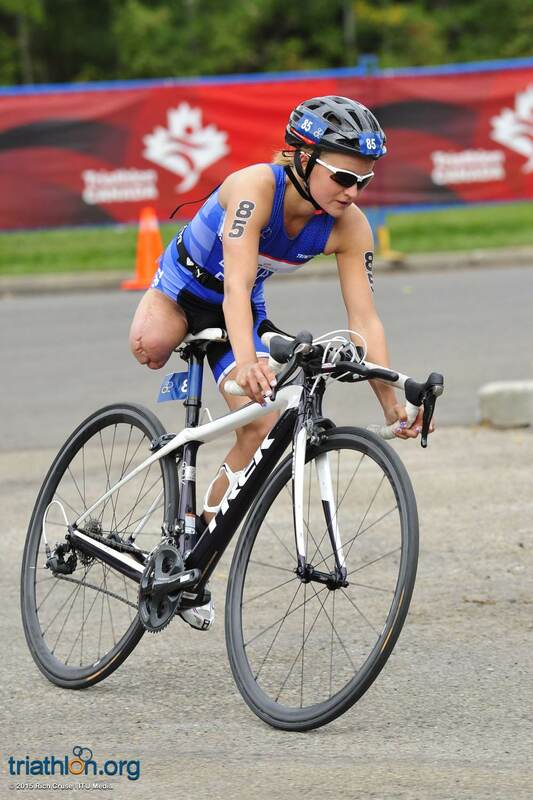 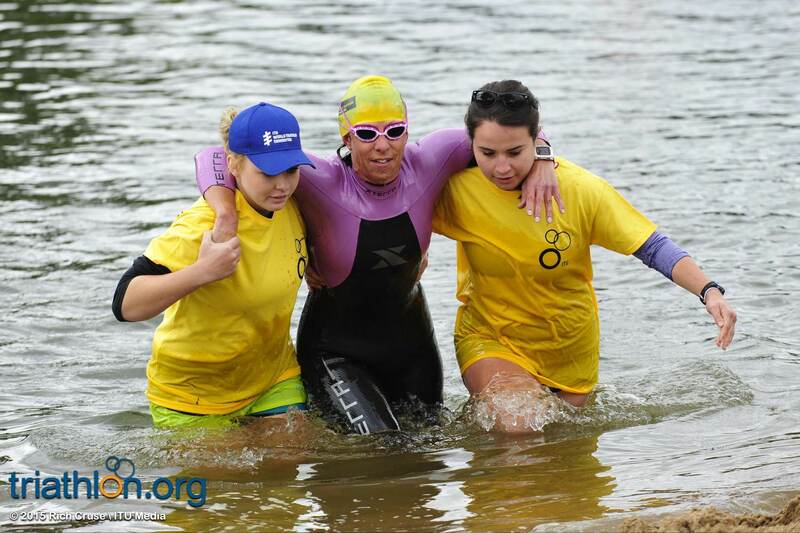 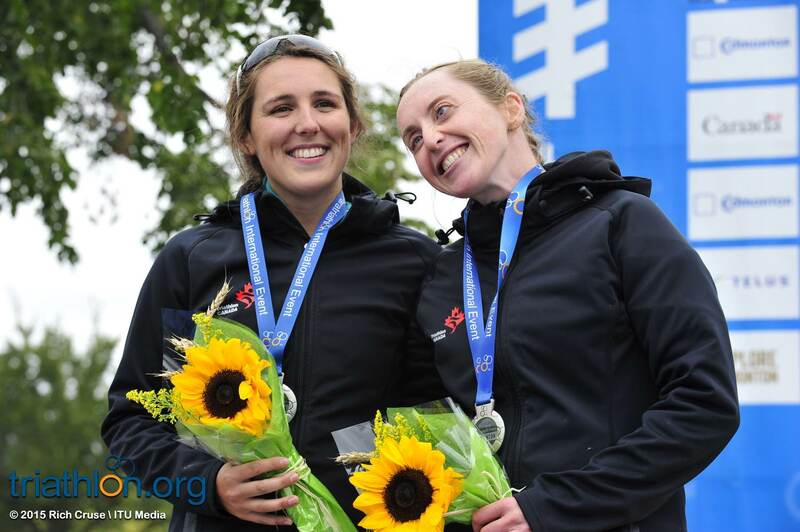 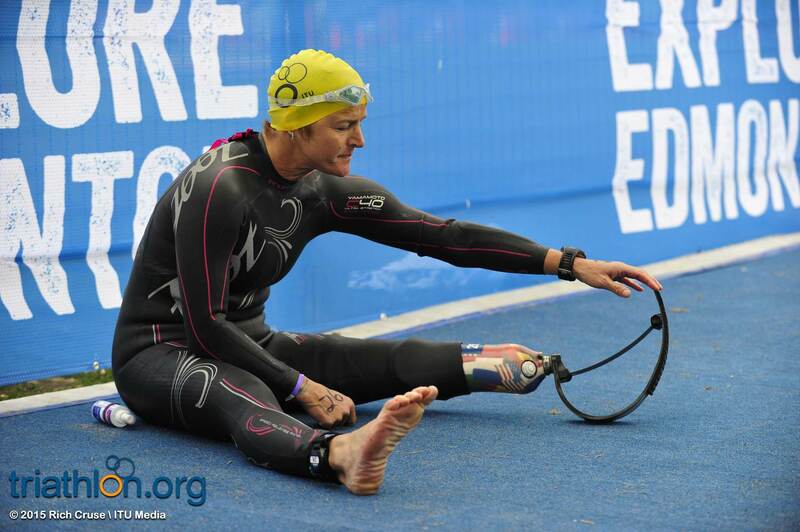 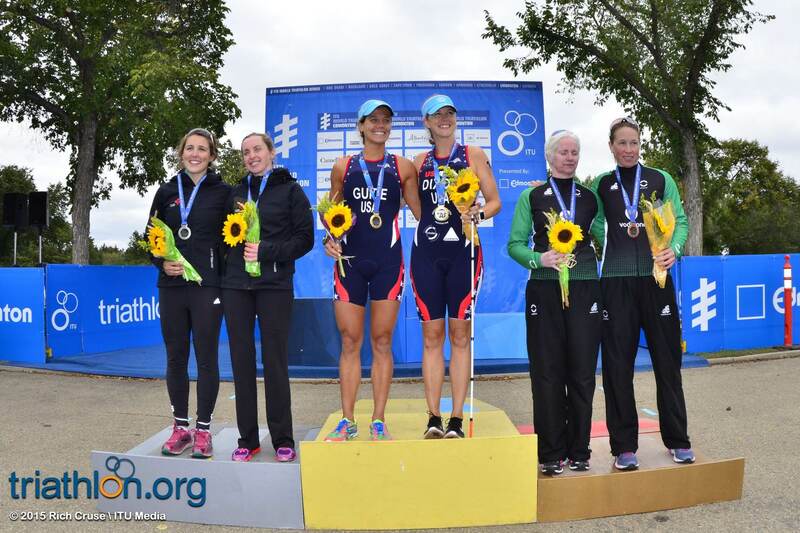 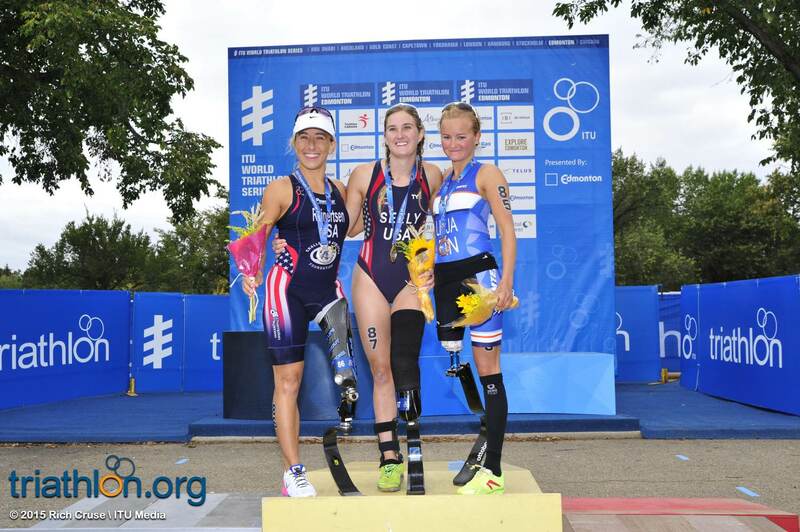 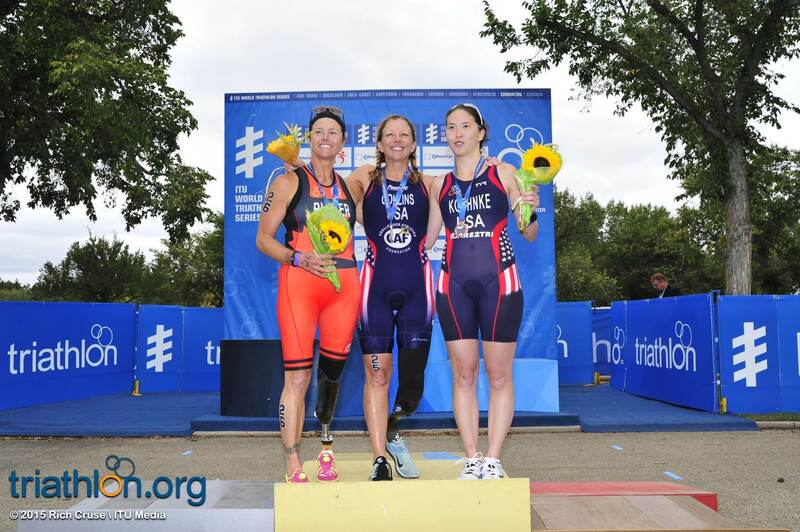 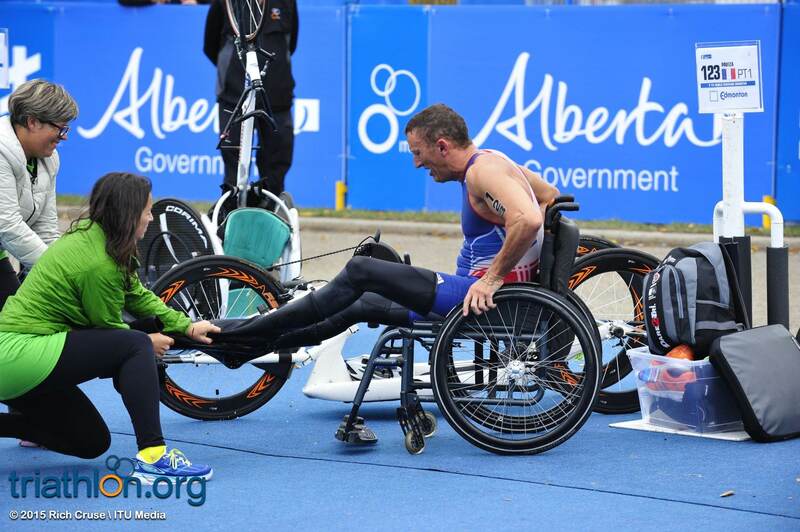 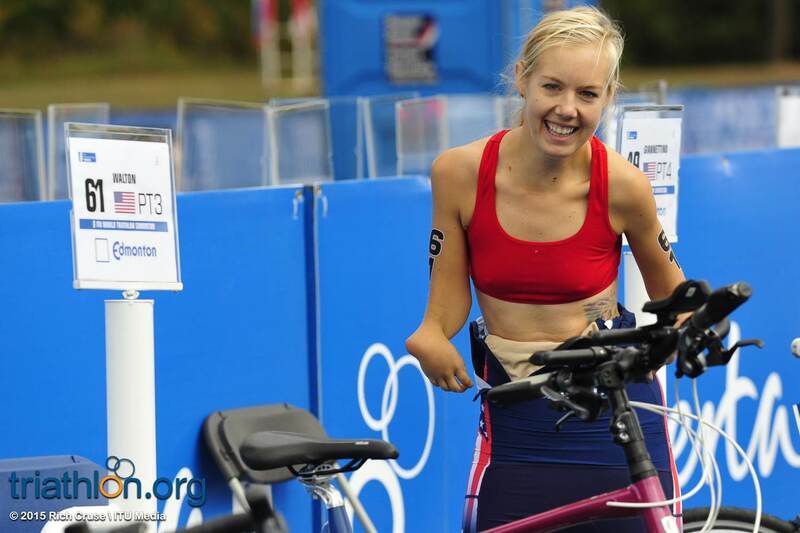 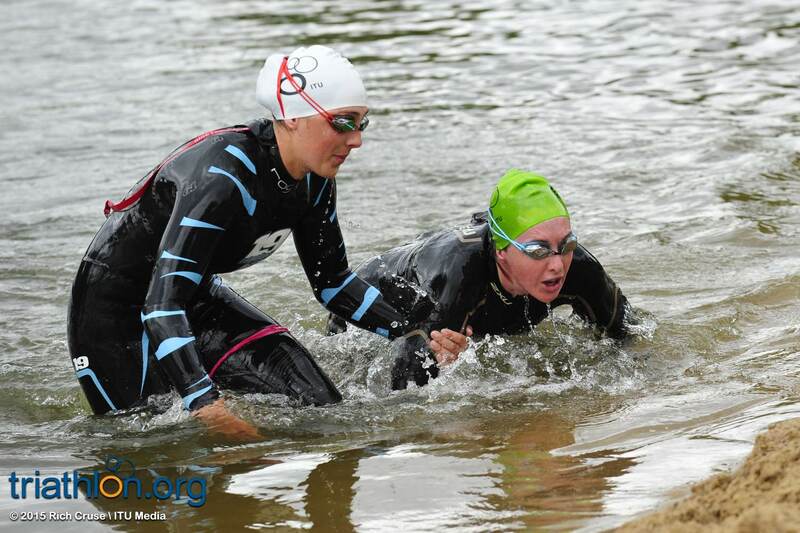 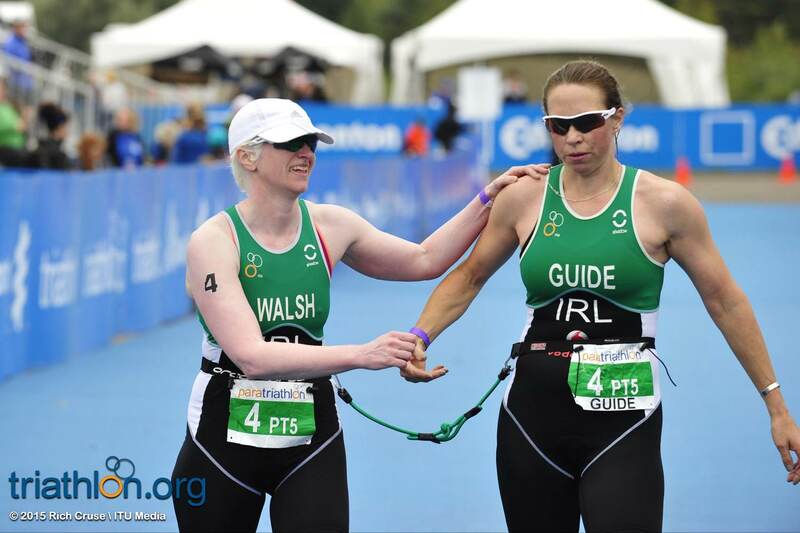 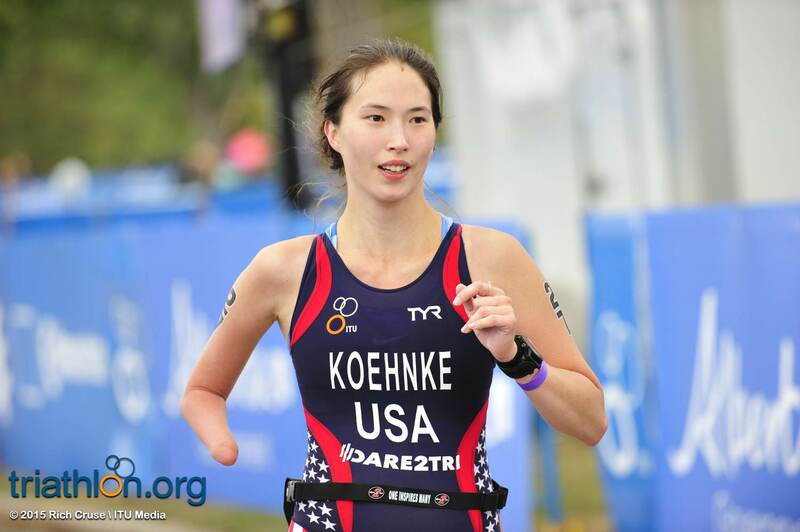 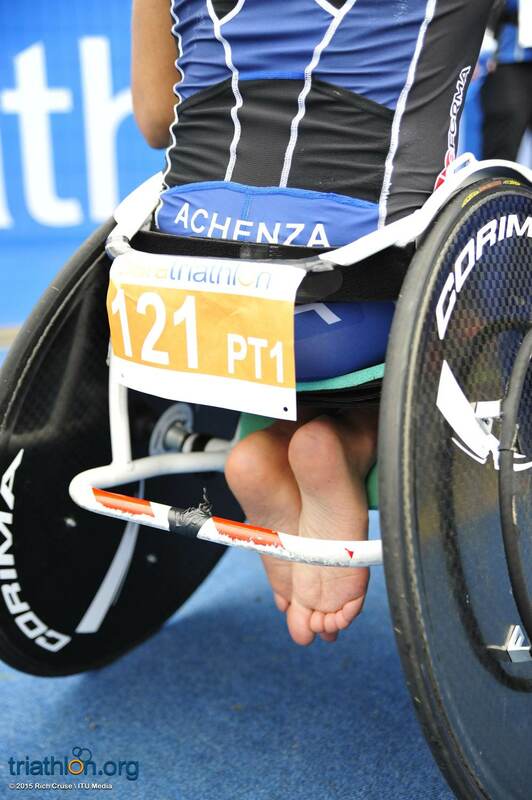 In just her second year competing in paratriathlon, Amy Dixon clenched her second World Paratriathlon Event win, finishing nearly two minutes ahead of Canada’s Christine Robbins in silver and Ireland’s Catherine Walsh in third. 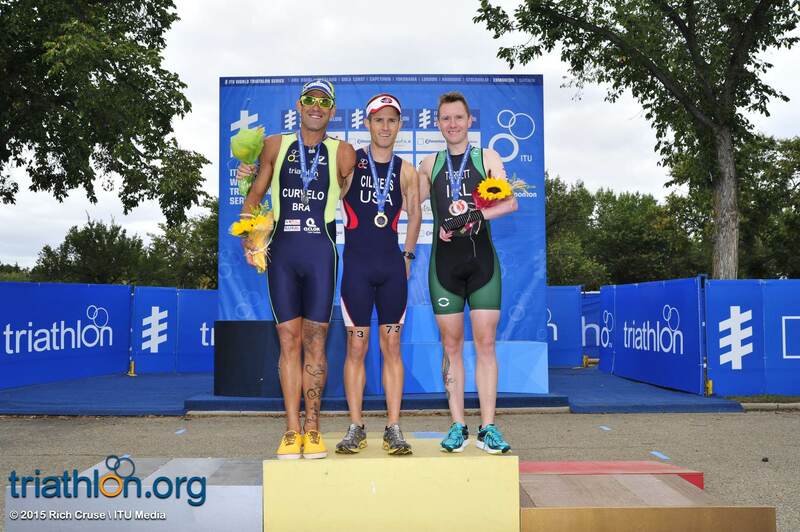 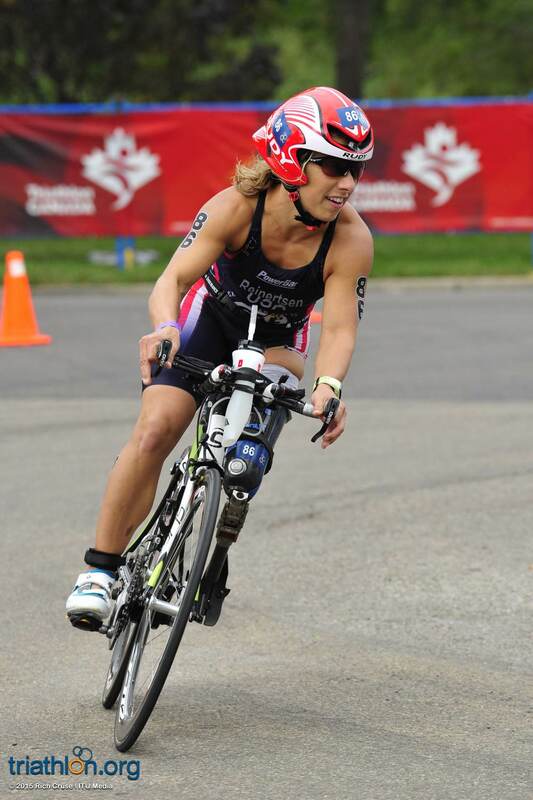 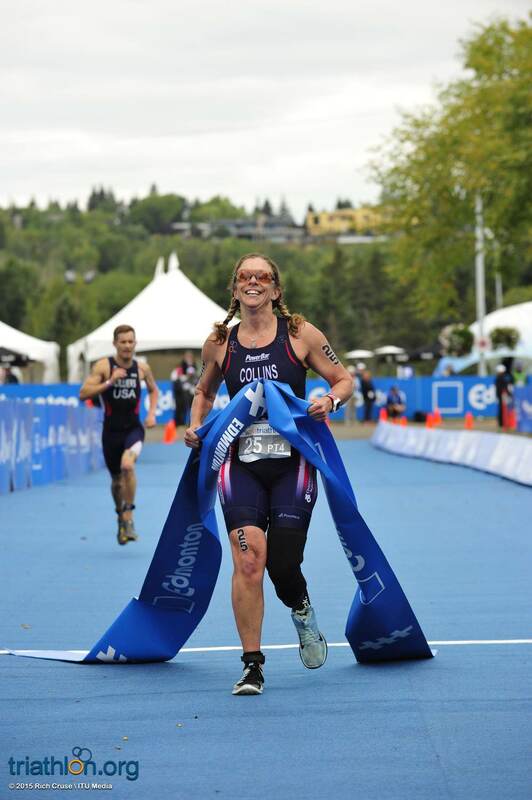 Patricia Collins (USA) returned to the top of the podium for the first time in Edmonton on Saturday since winning the TRI-5 sport class at the 2012 World Championships. 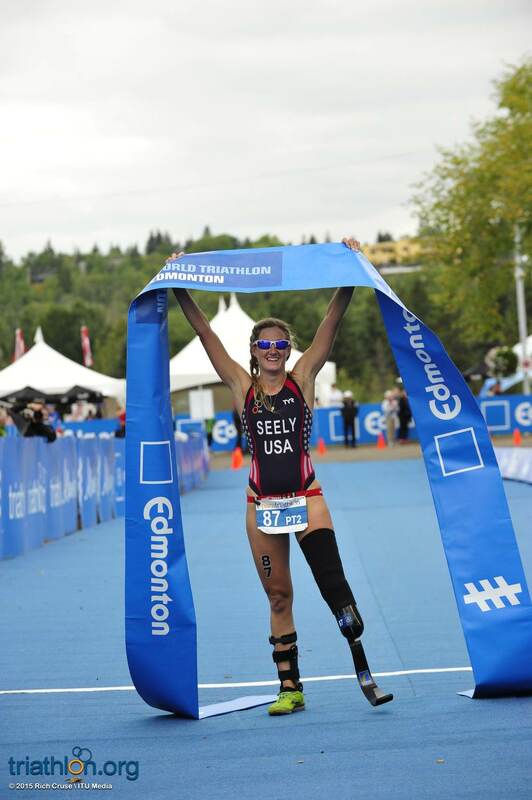 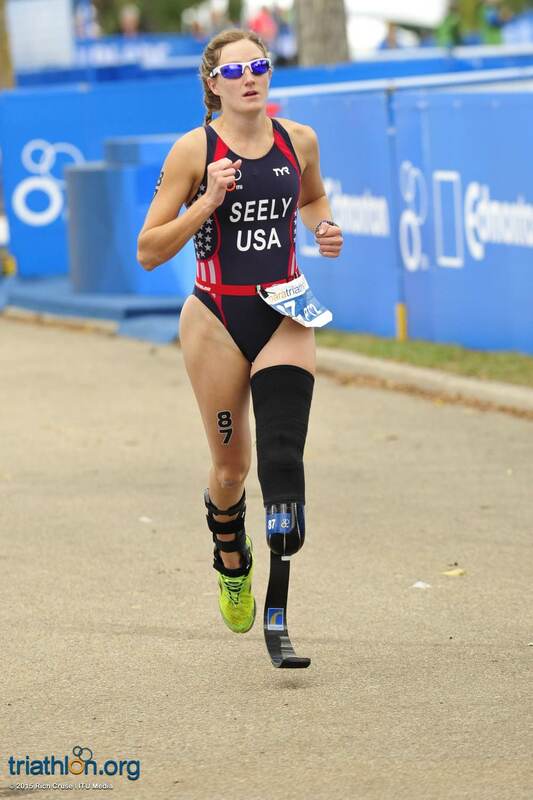 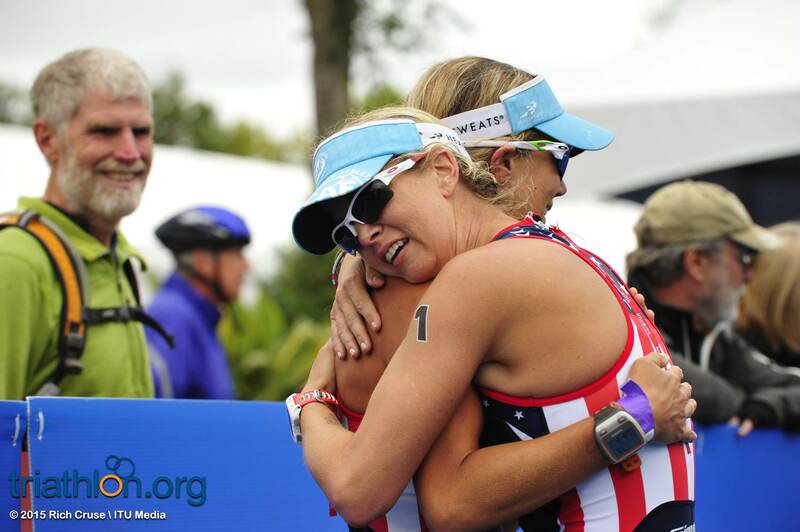 Allysa Seely (USA) furthered her road to Rio with a win in the women’s PT2. 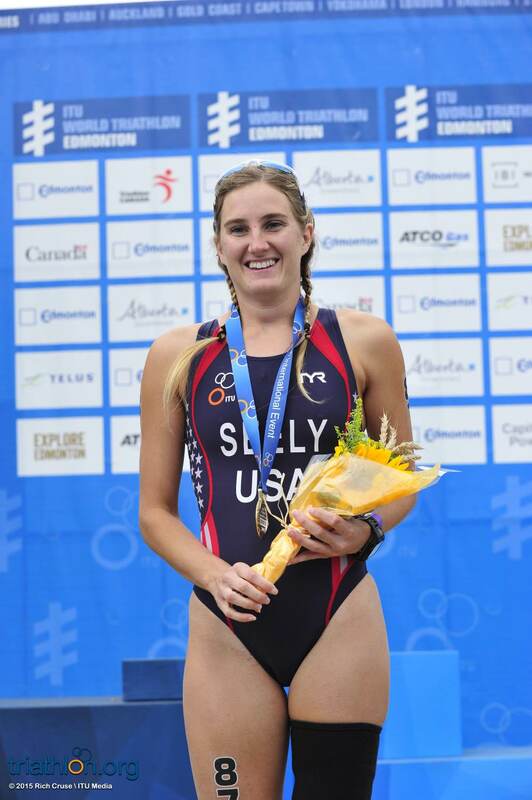 Although she exited the water in second, a phenomenal bike and run gave Seely the gold. 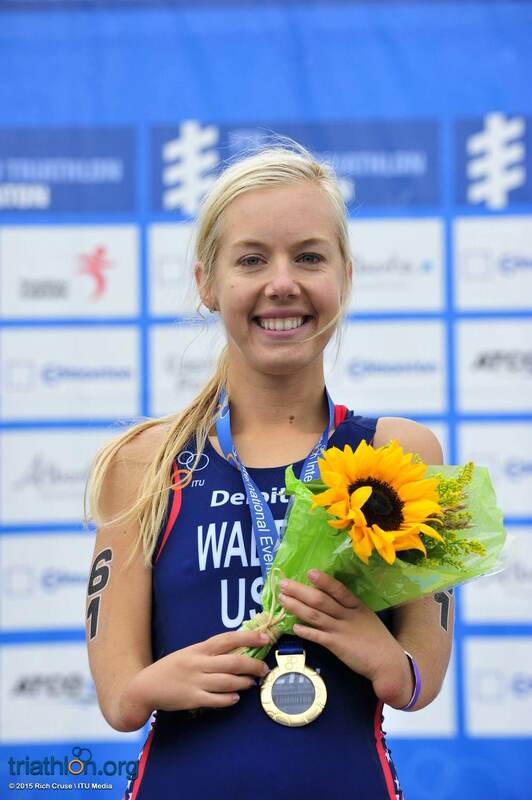 Andrea Walton’s win in the women’s PT3 meant the U.S. women swept gold in all of the sport classes contested on Saturday. 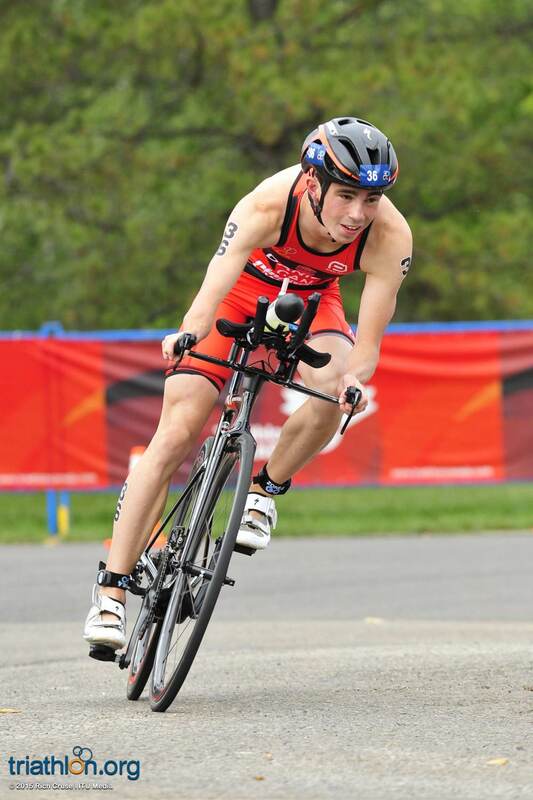 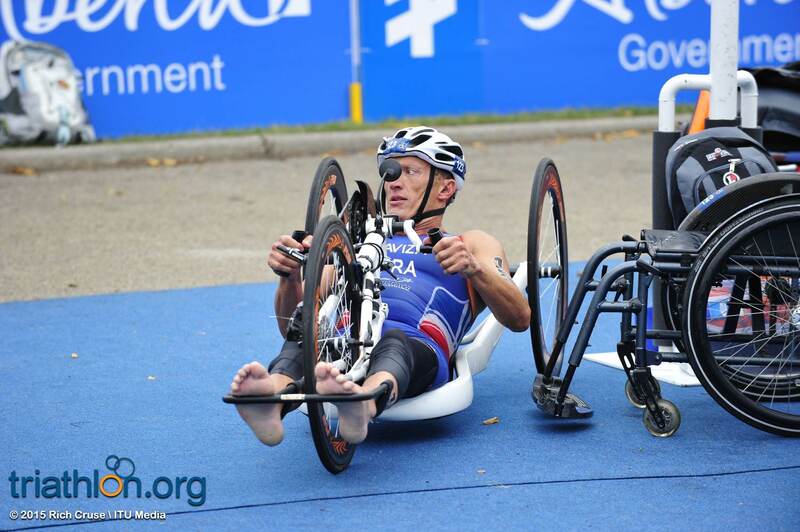 Andre Cilliers was the sole male winner from the U.S. team, which he accomplished with a strong bike and run in the men’s PT3 sport class. 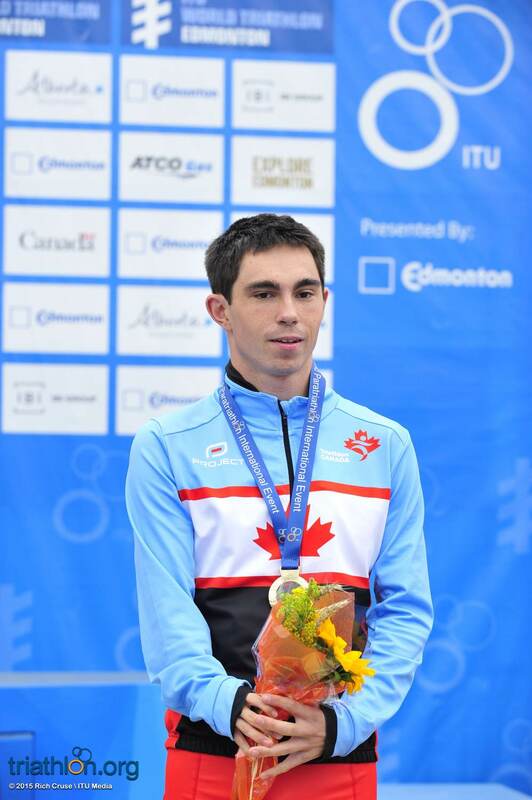 But it was Canada’s own Stefan Daniel that stole the show on home soil, winning the men’s PT4 sport class with a line-to-line lead. 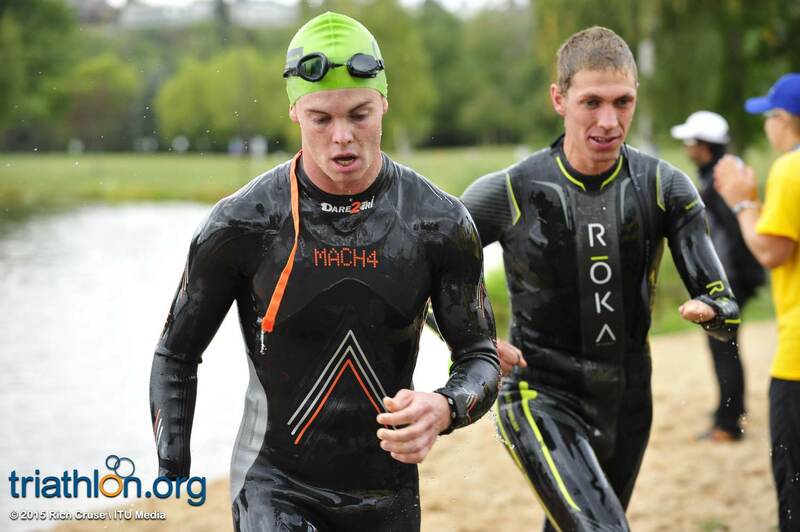 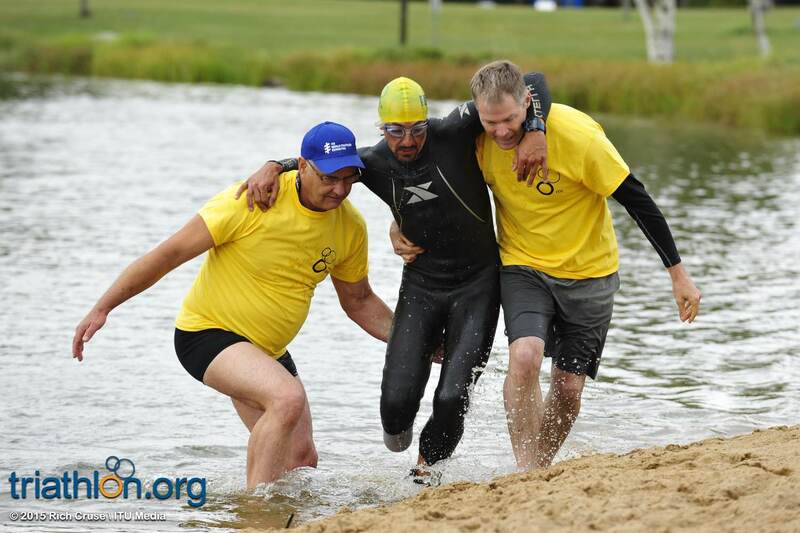 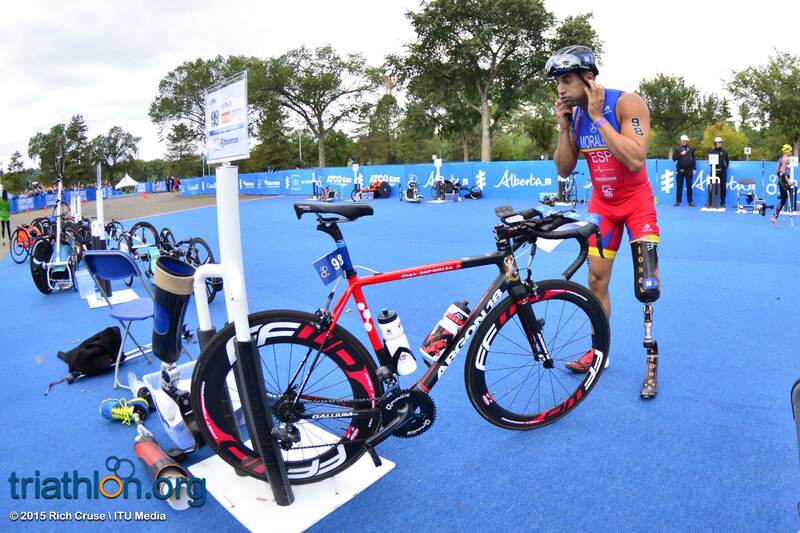 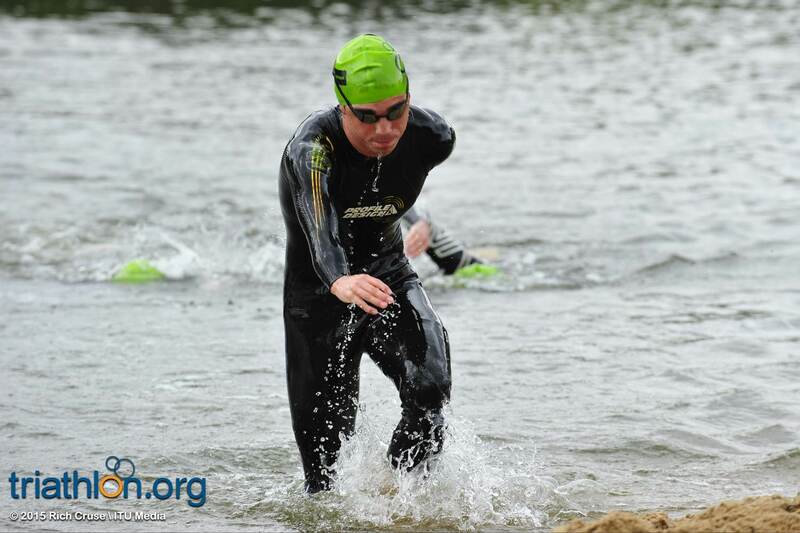 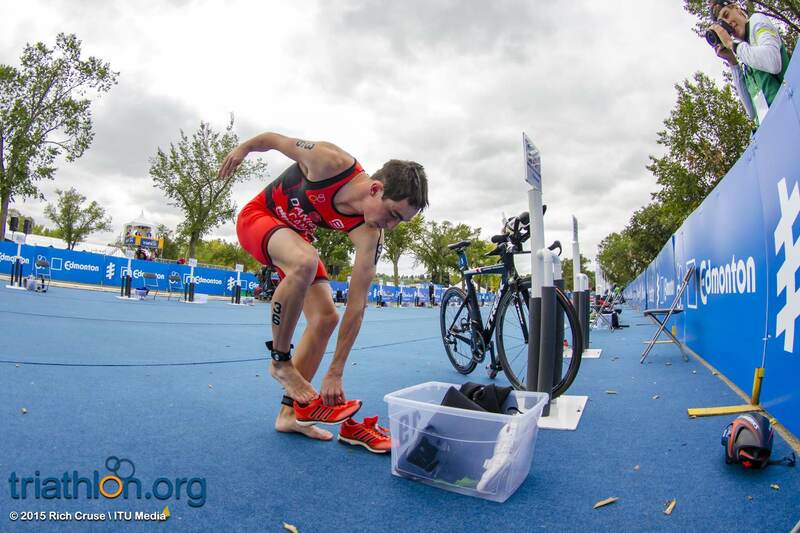 While Daniel was first out of the swim and bike, he received strong pressure from France’s Yan Guanter on the first two disciplines with both men coming into T2 together. 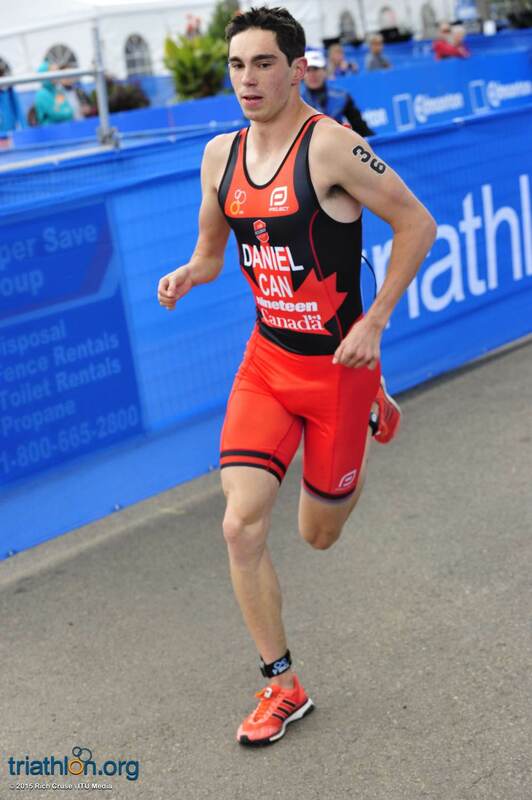 A swift transition saw Daniel out first, dropping Guanter as a threat to the podium. 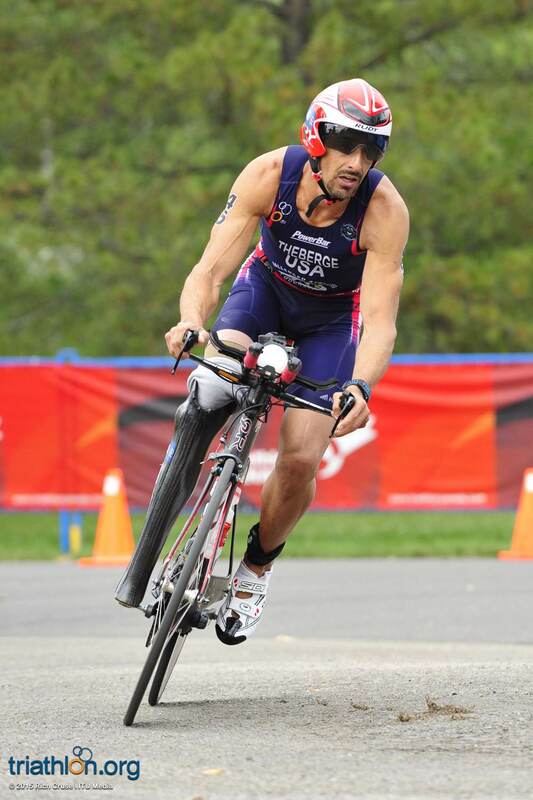 However, an aggressive Chris Hammer (USA) then took over laying on the pressure as he hunted Daniel down on the run, putting Daniel’s win at risk. 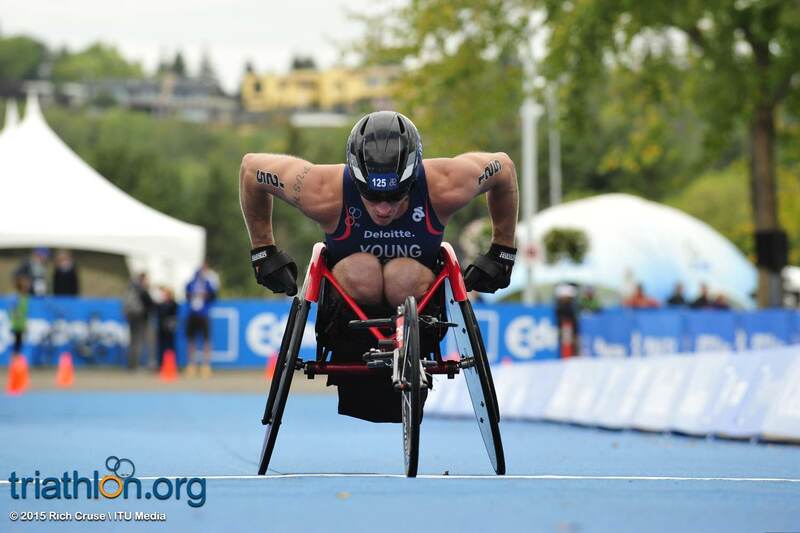 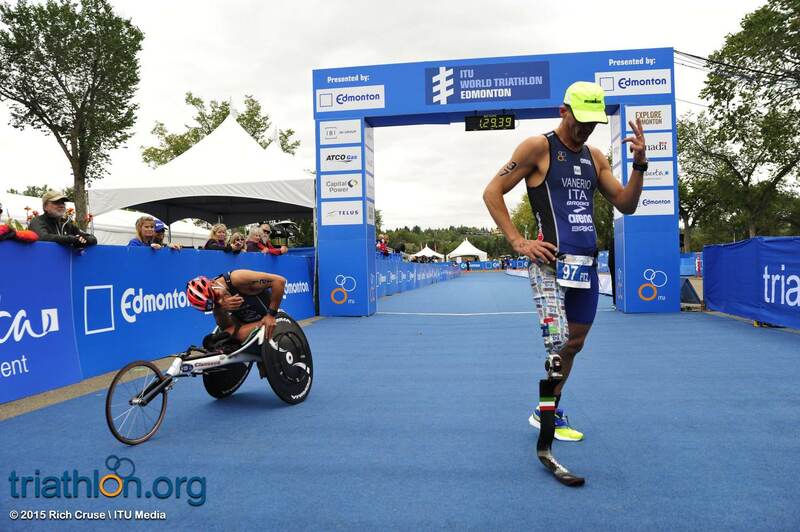 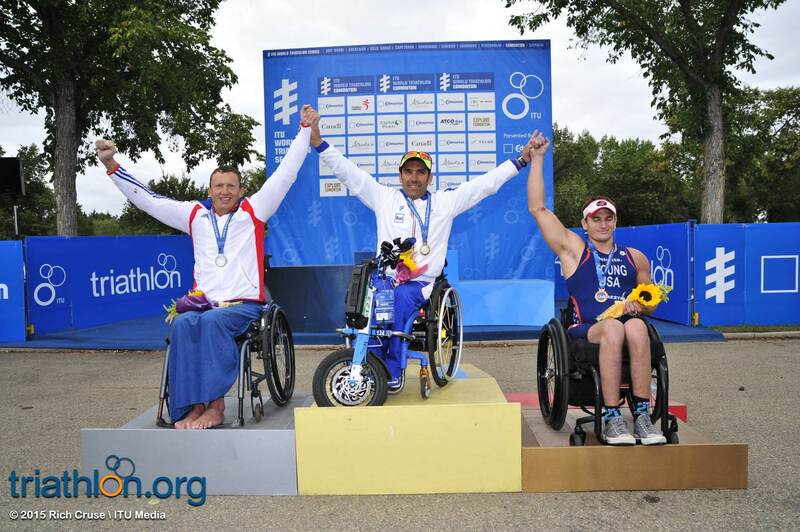 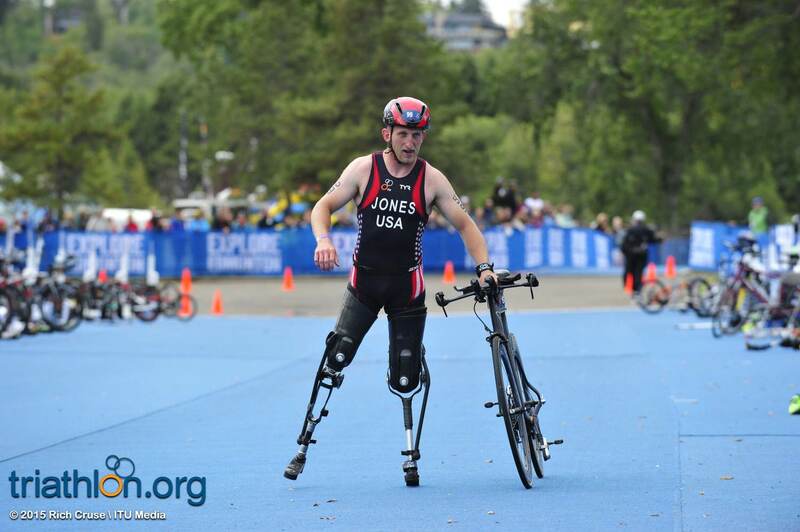 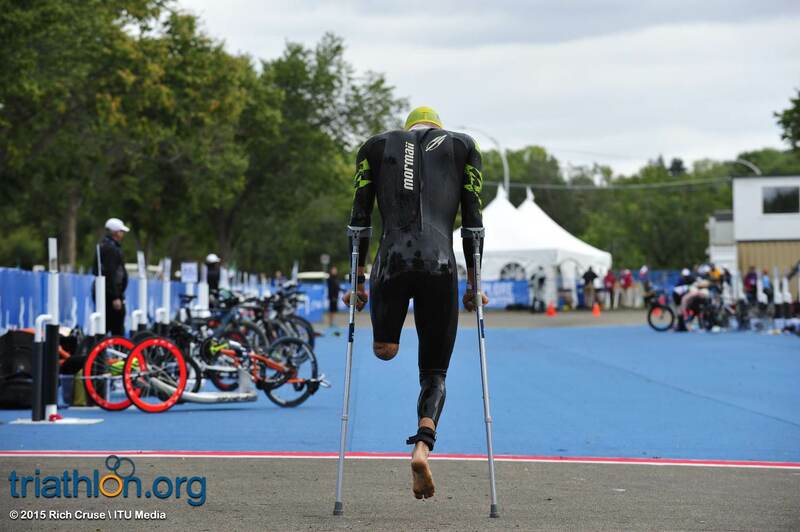 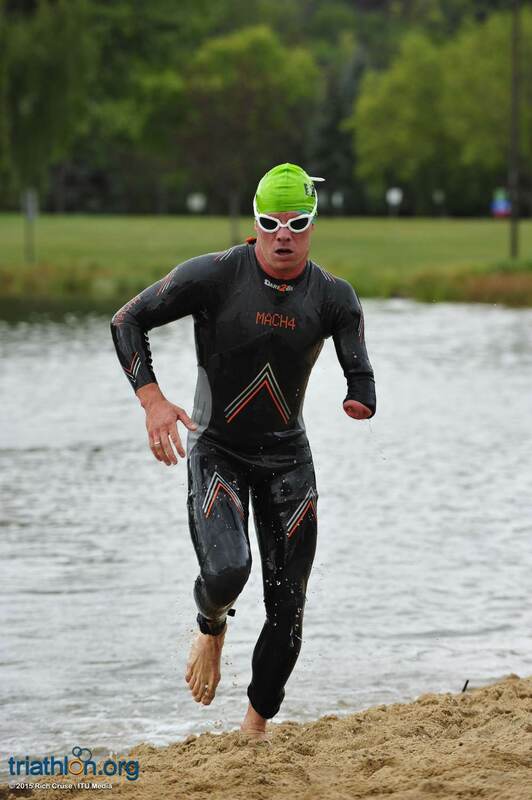 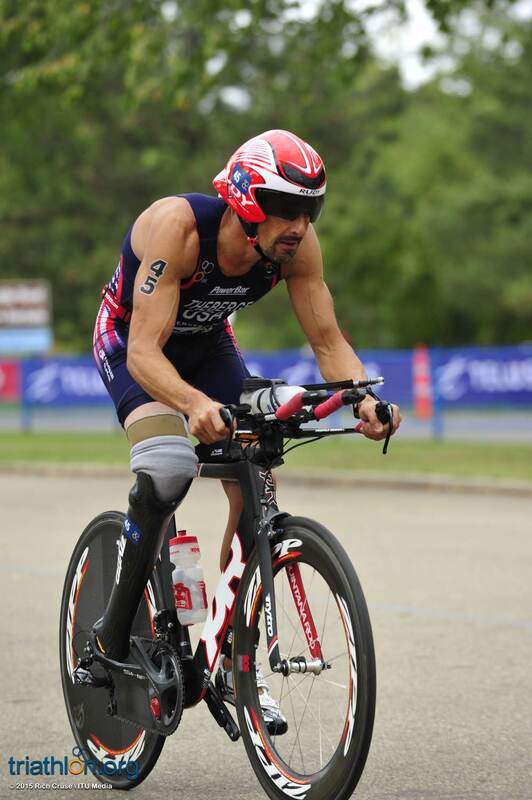 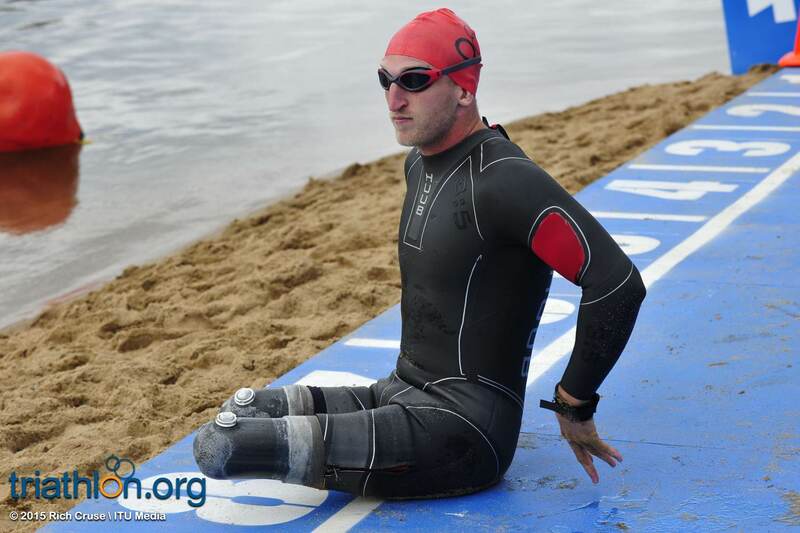 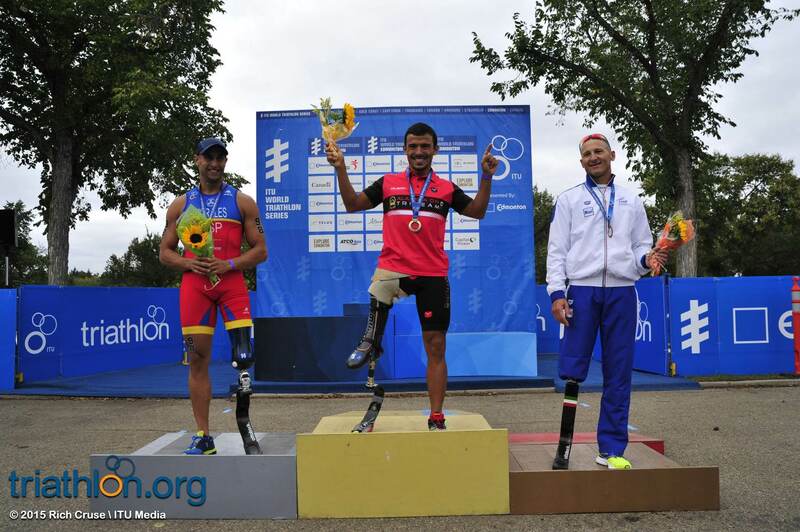 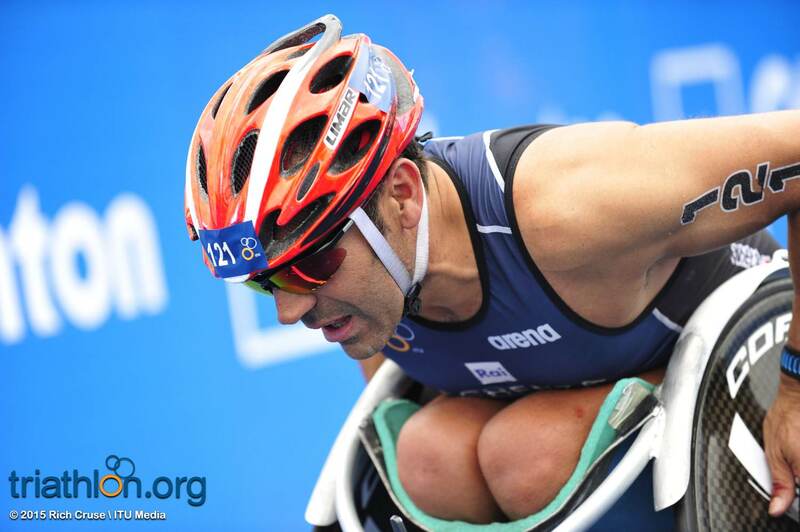 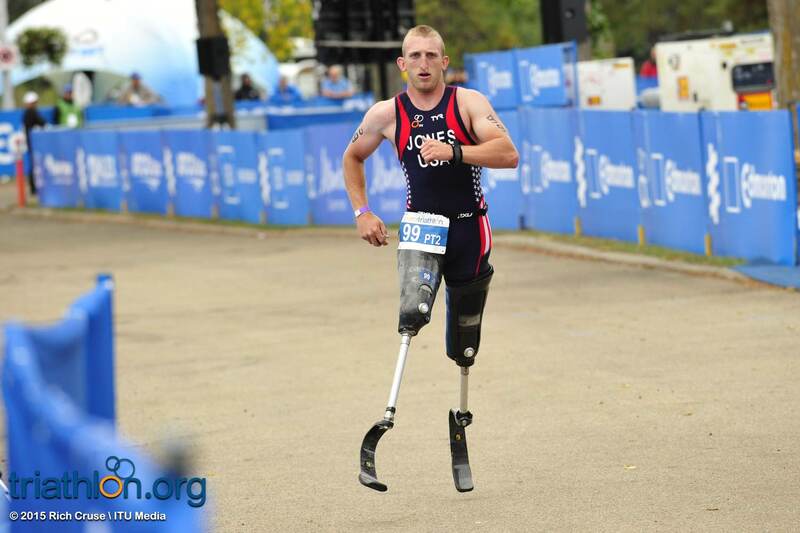 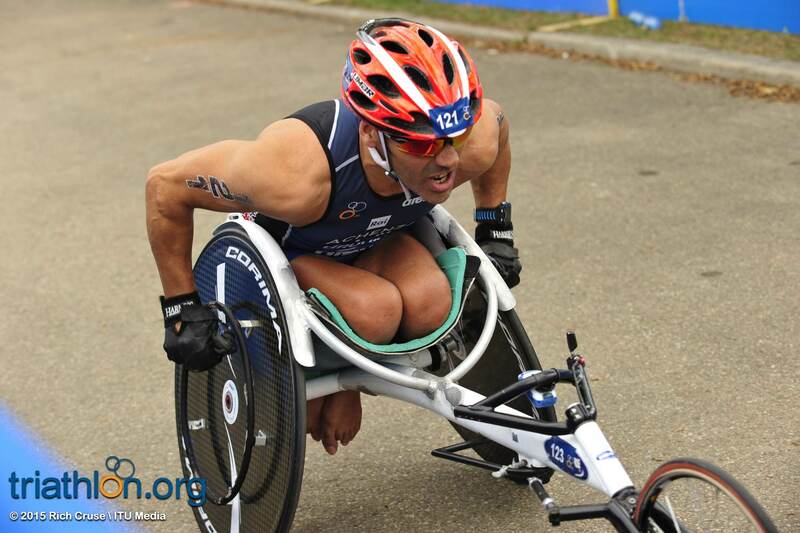 But Hammer’s hit out for the win was timed just slightly too late, giving Daniel his fourth World Paratriathlon Event win. 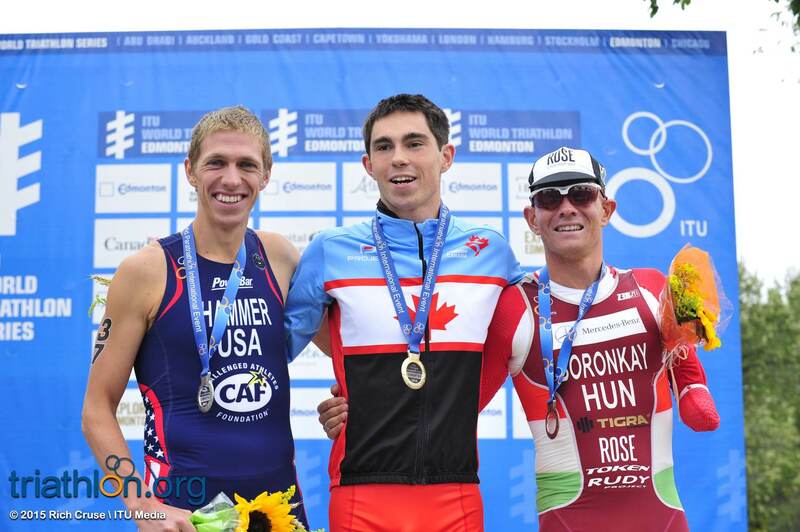 Hammer took second, followed by Hungary’s Peter Boronkay in third. 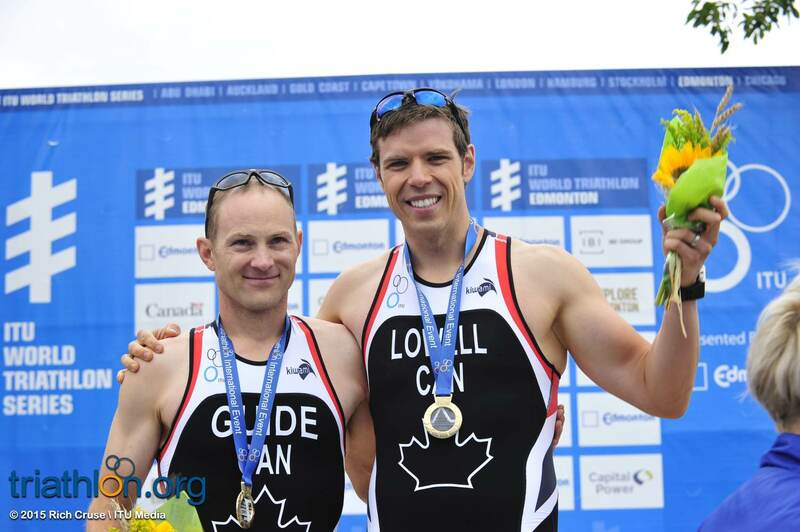 Canada was treated to another win in men’s PT5 top finisher Lowell Taylor. 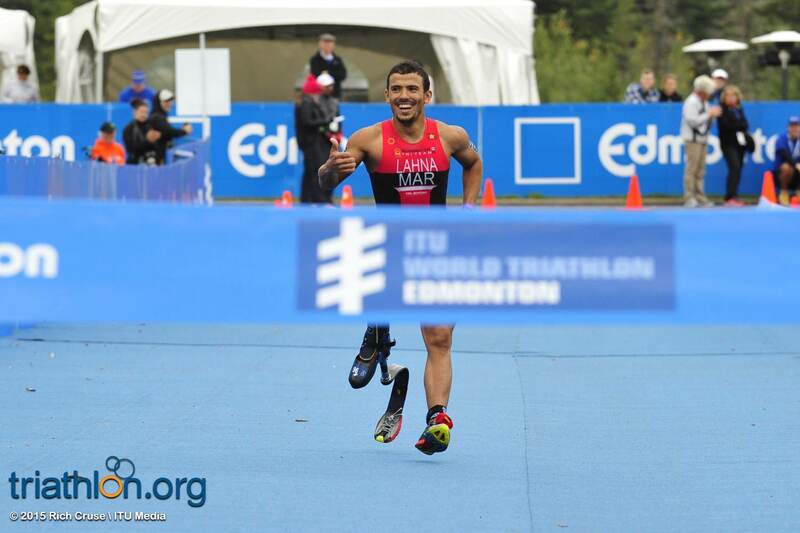 A jovial Giovanni Achenza picked up his second win of the season in men’s PT1 with a monster win, crushing the competition by more than six minutes, while Mohamed Lahna also secured a win in men’s PT2 sport class with a sizable margin at three minutes. 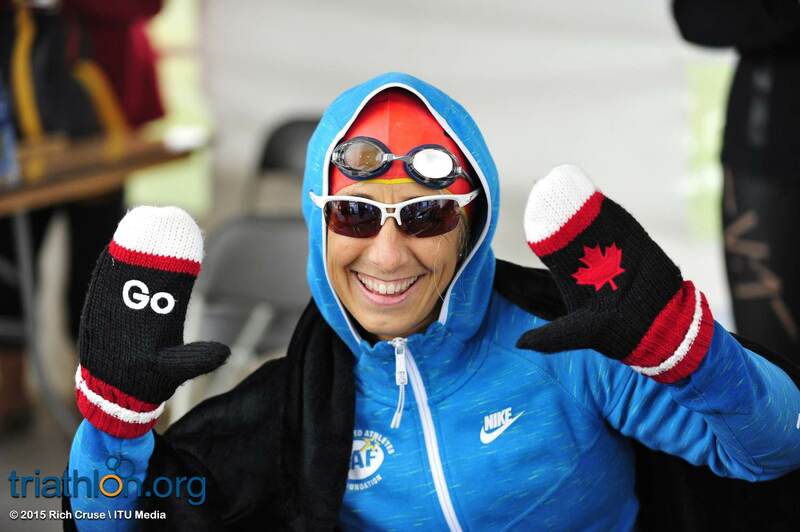 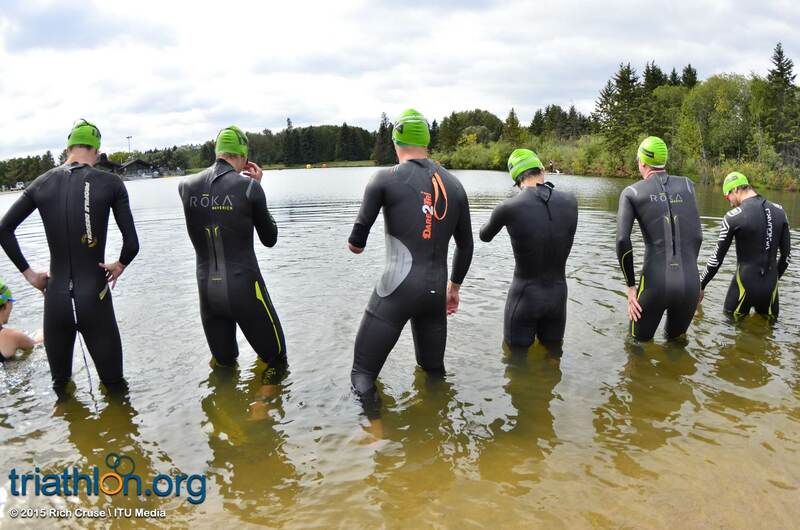 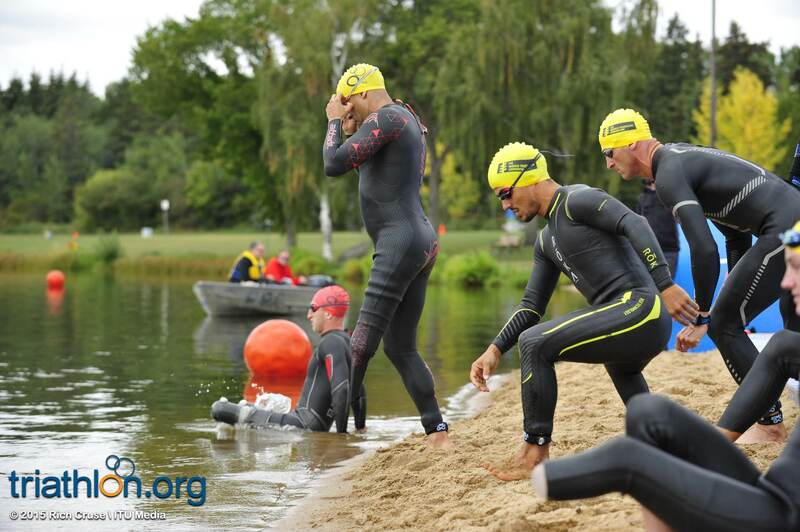 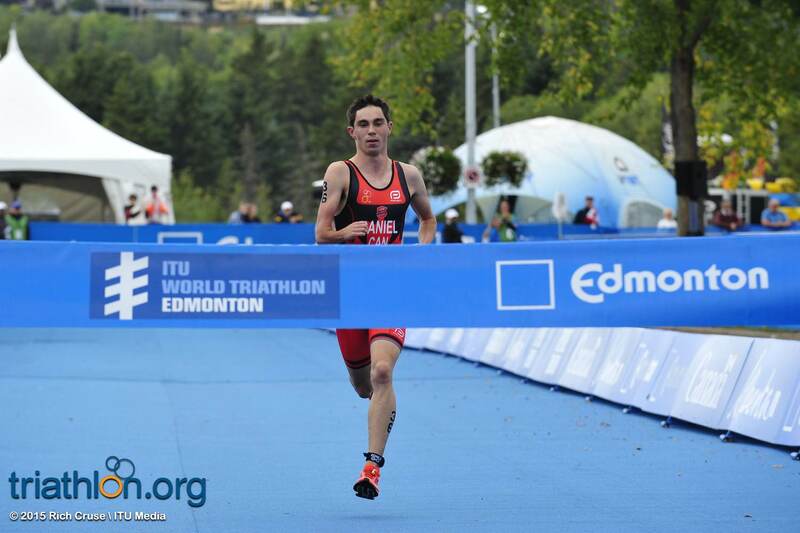 As the penultimate stop on the World Triathlon Series in Edmonton gets closer, athletes are prepping more than ever in the hopes of having a successful weekend right before the start of the Grand Final. 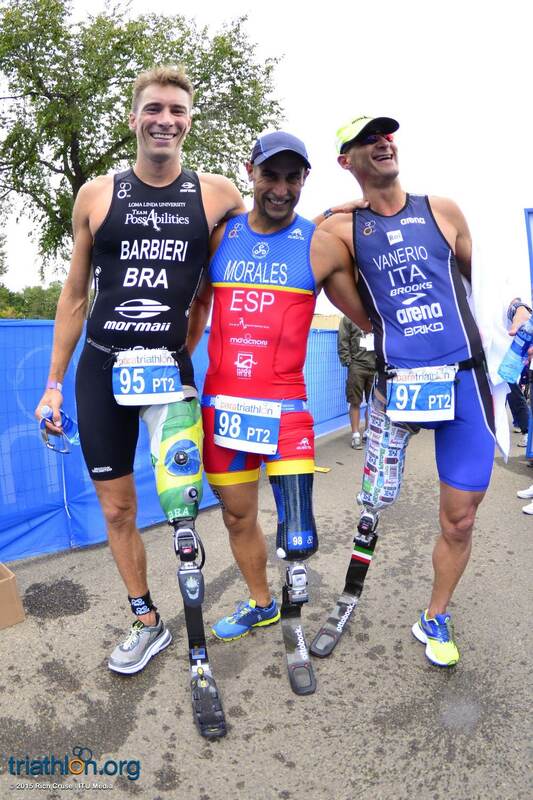 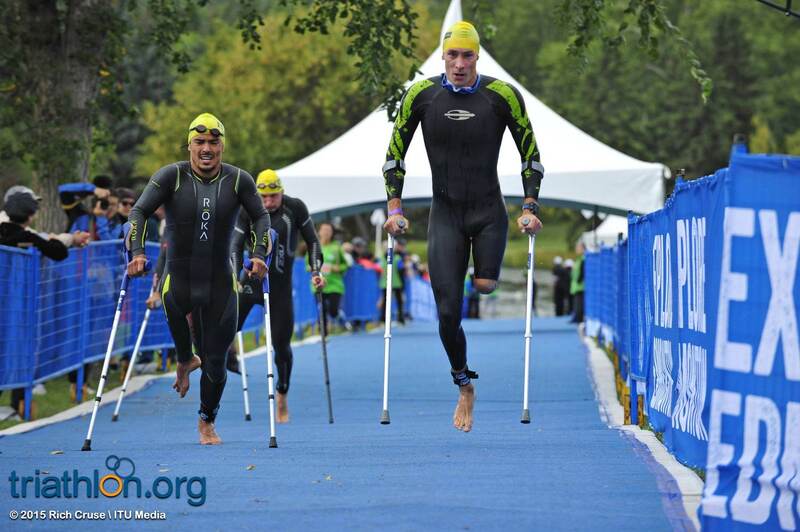 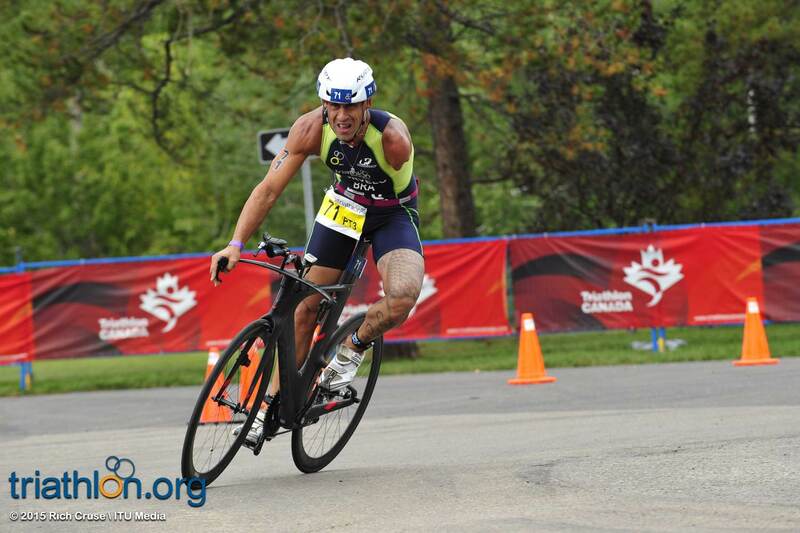 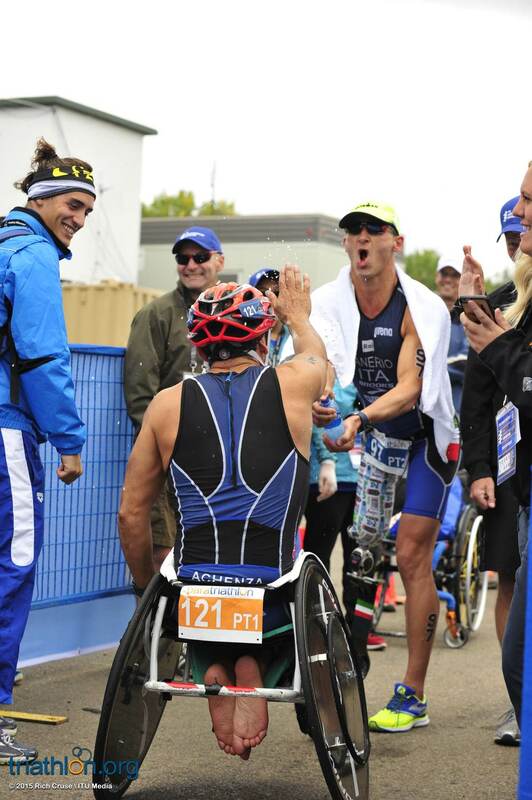 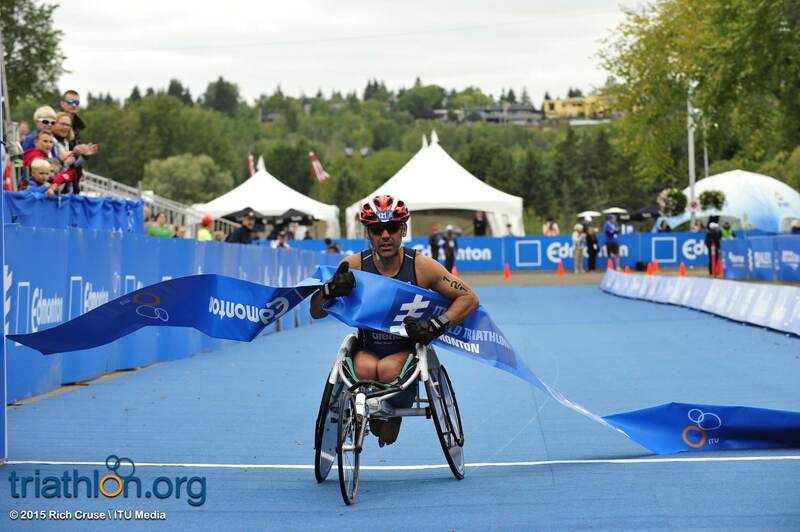 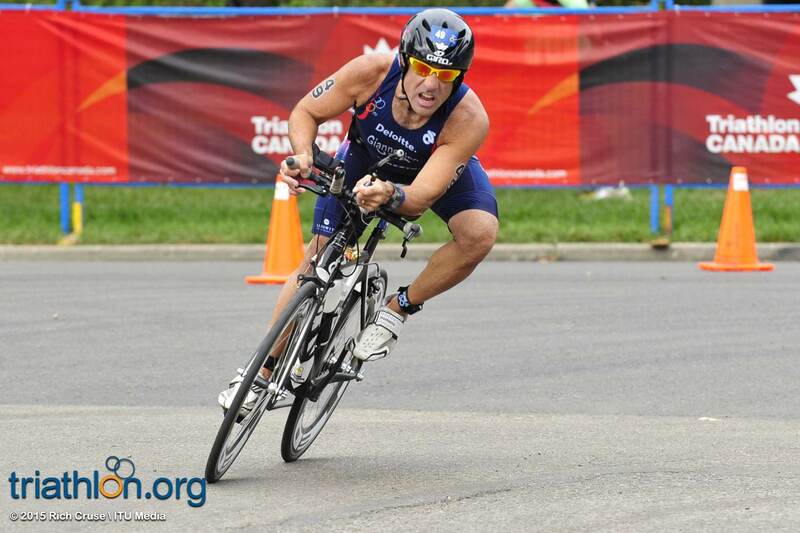 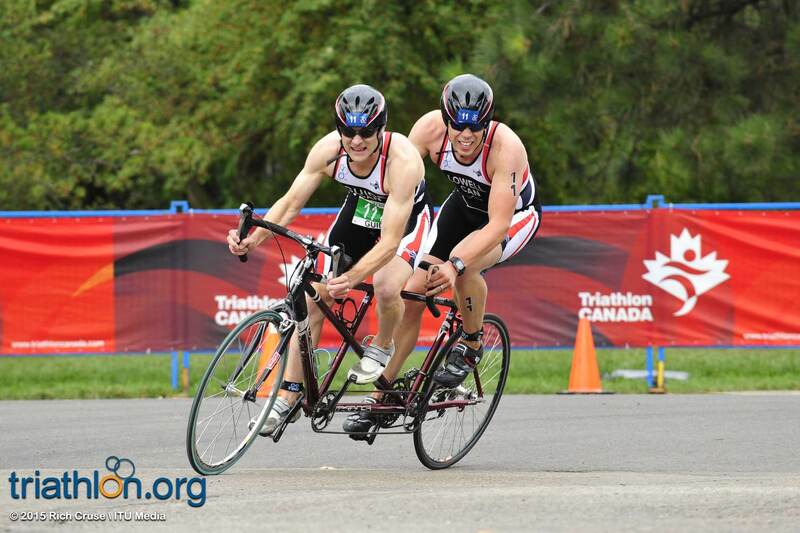 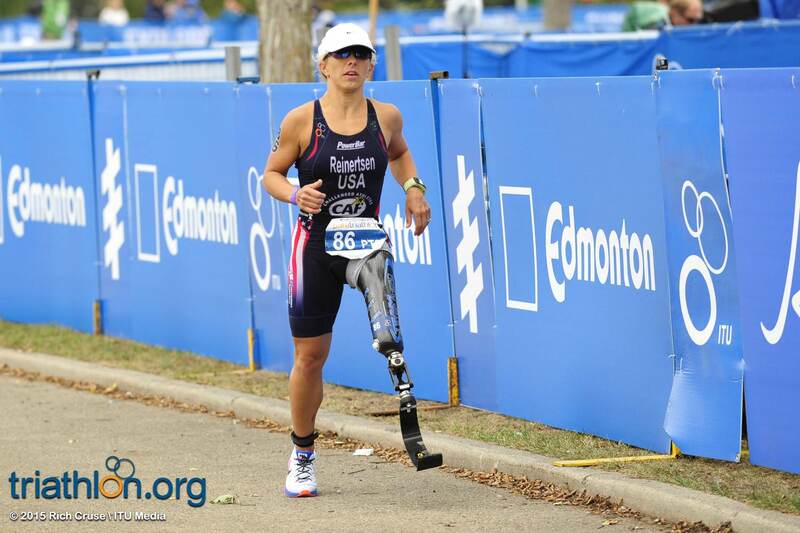 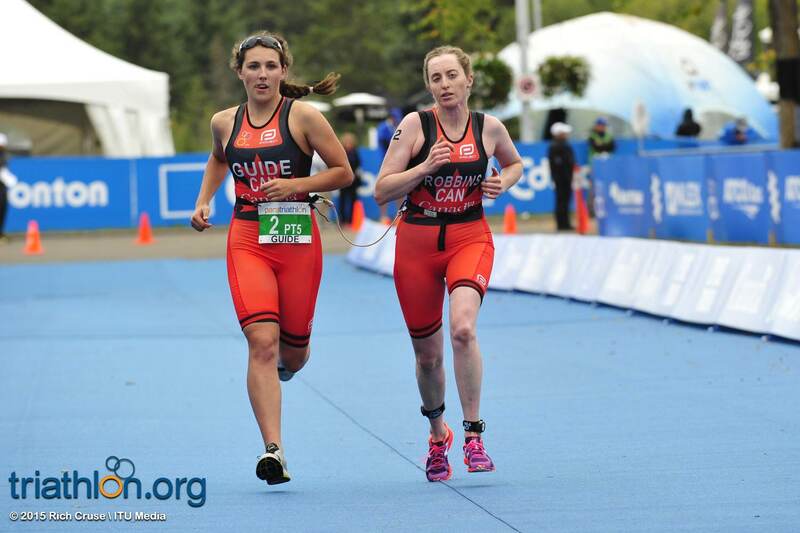 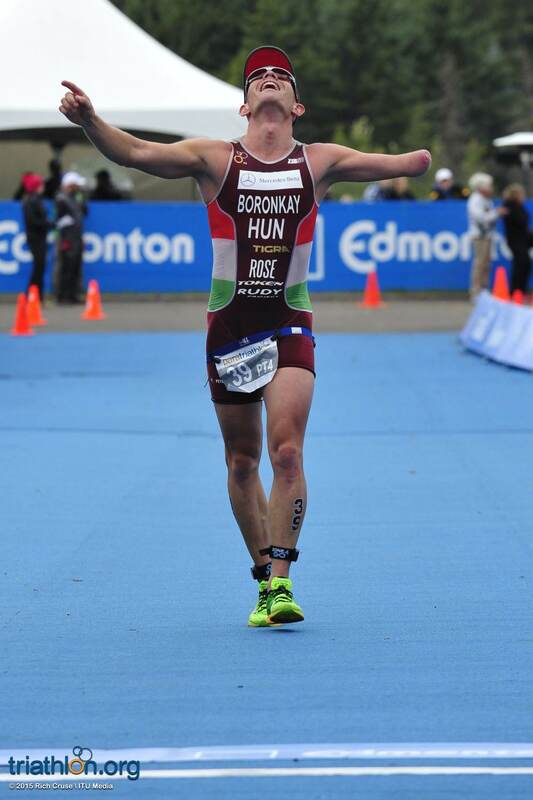 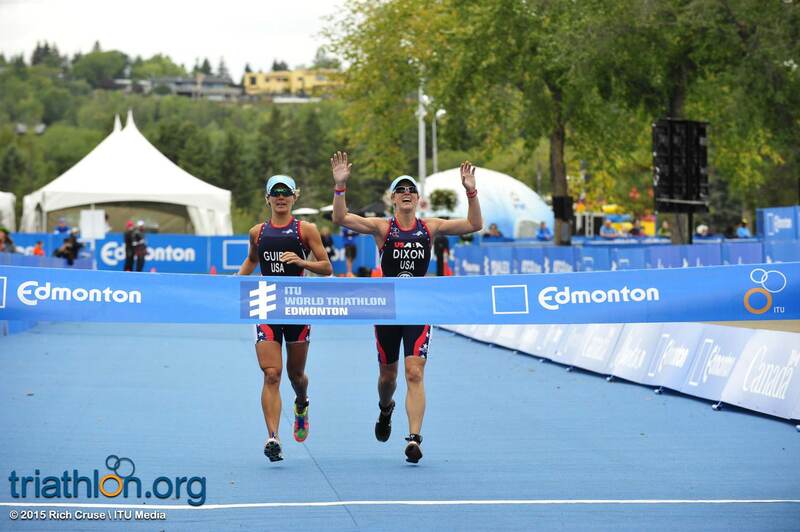 The World Triathlon Series heads to Edmonton, Canada as the ninth and penultimate stop on the 2015 WTS calendar. 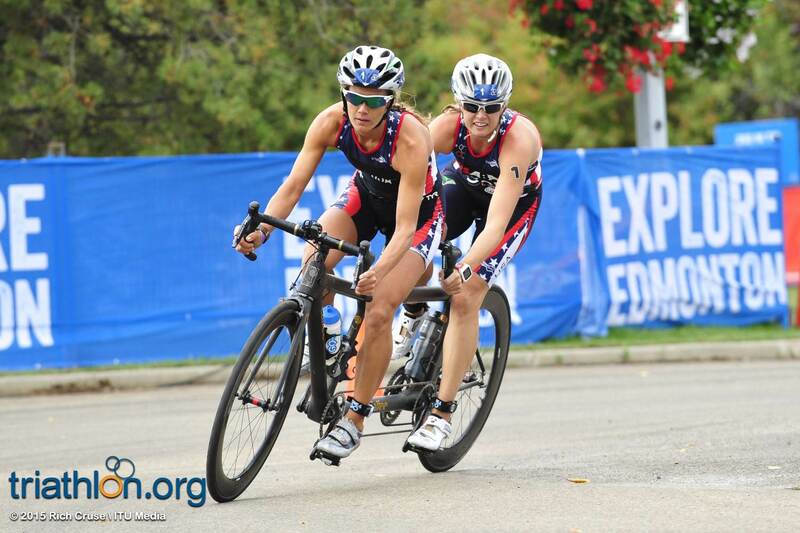 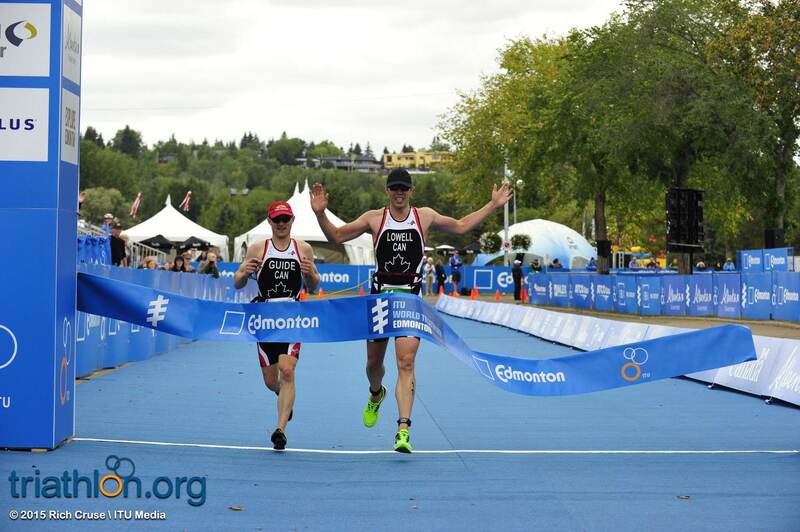 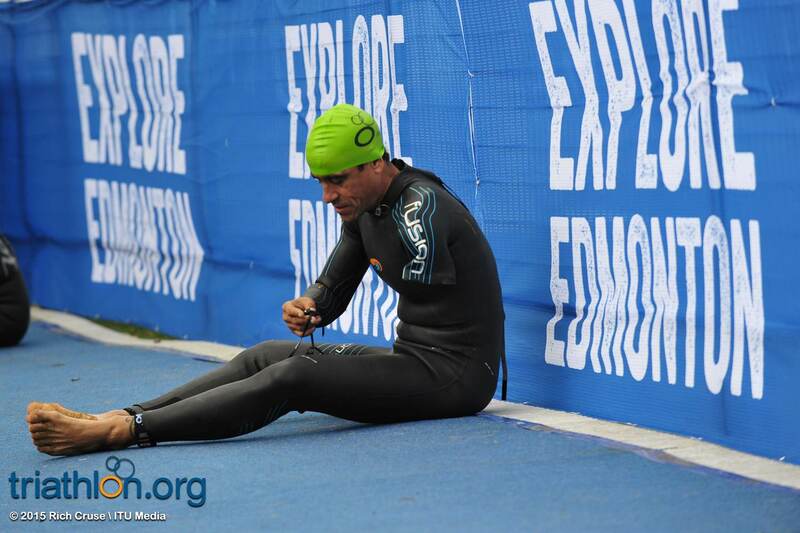 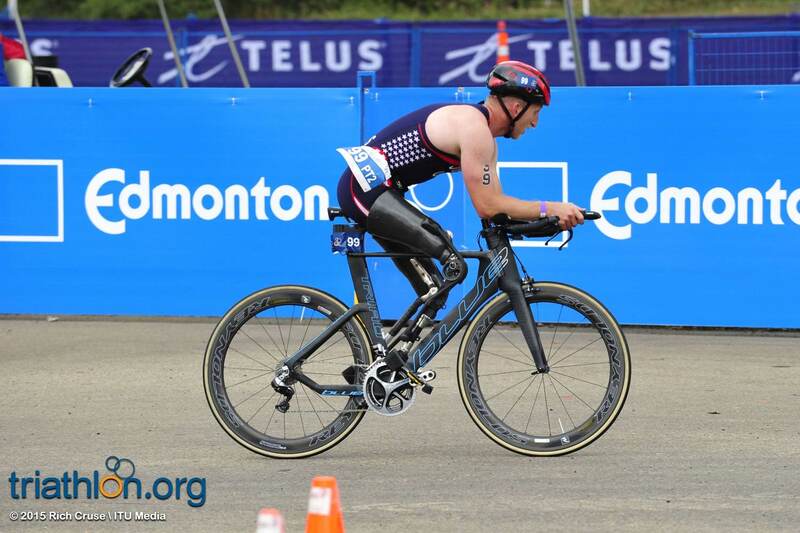 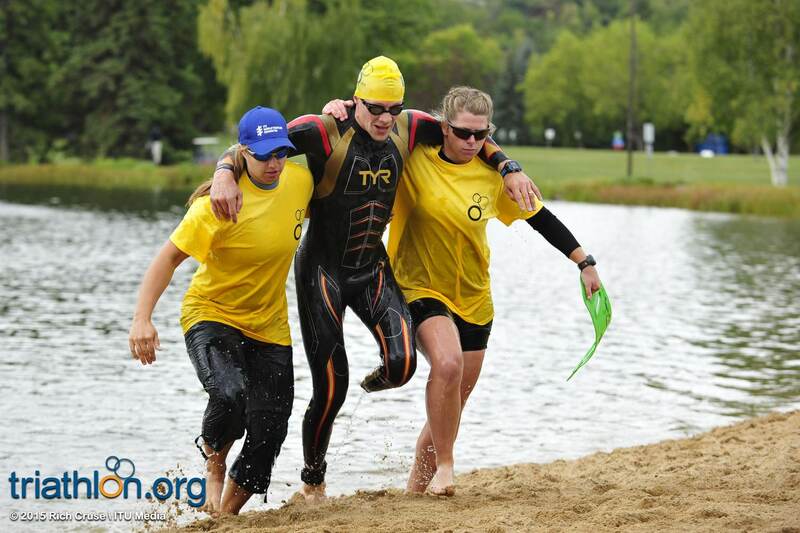 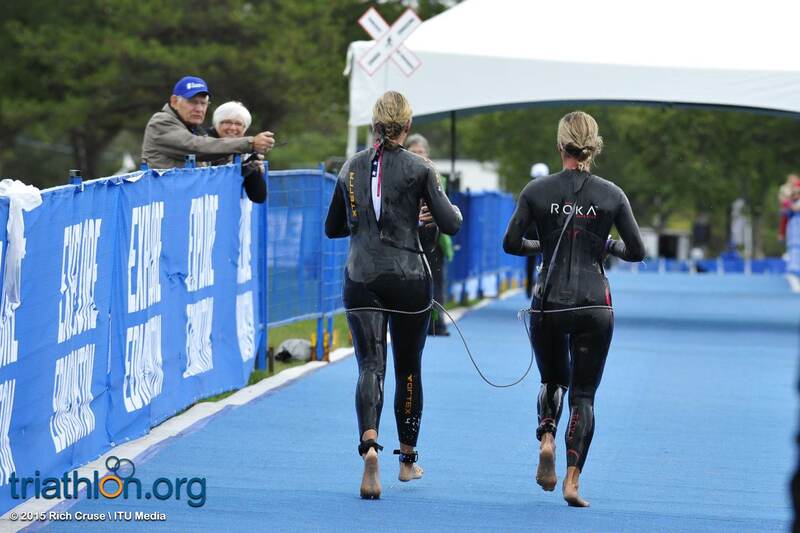 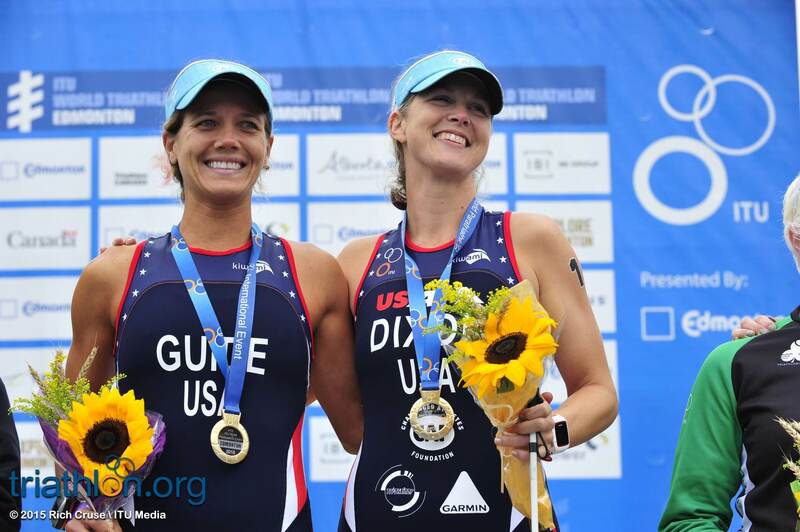 The World Triathlon Series is coming to North America as Edmonton, Canada becomes the ninth stop in the circuit.